From within the chic, intellectual veneer of the Walker Art Center, a group of 14 Walker staff, bonded together by undeniable athletic prowess and an insatiable hunger for victory, united to form a broomball team. 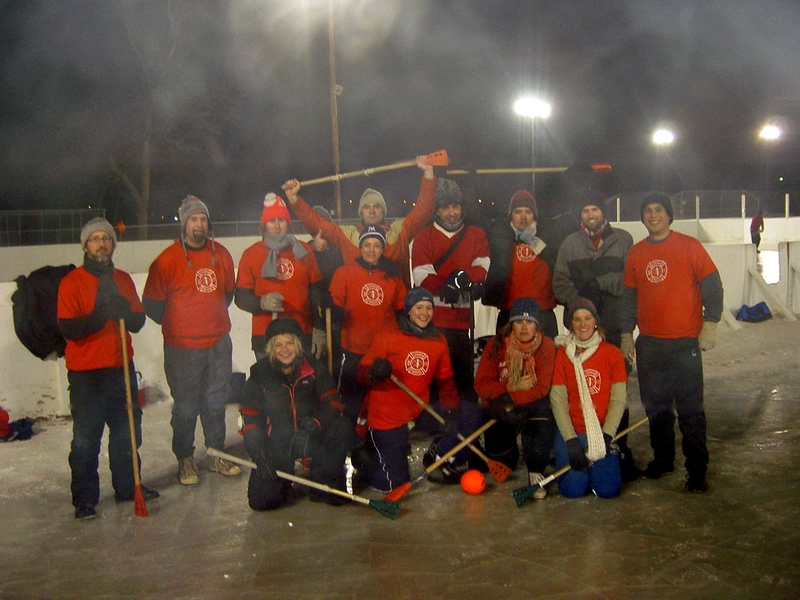 Representing the Walker Art Center in the City of Minneapolis Broomball League, the Lumber Barons (named in fond memory of Walker Art Center father T.B. Walker) have already battled against such worthy rivals as Friends with Benefits, the Badgers, and that team Monday night who took it all way too seriously and wore numbered, green hockey jerseys. Wish us luck as we prepare to head into the playoffs next week against Liquor Lyles, where we expect our true fire to carry us home.